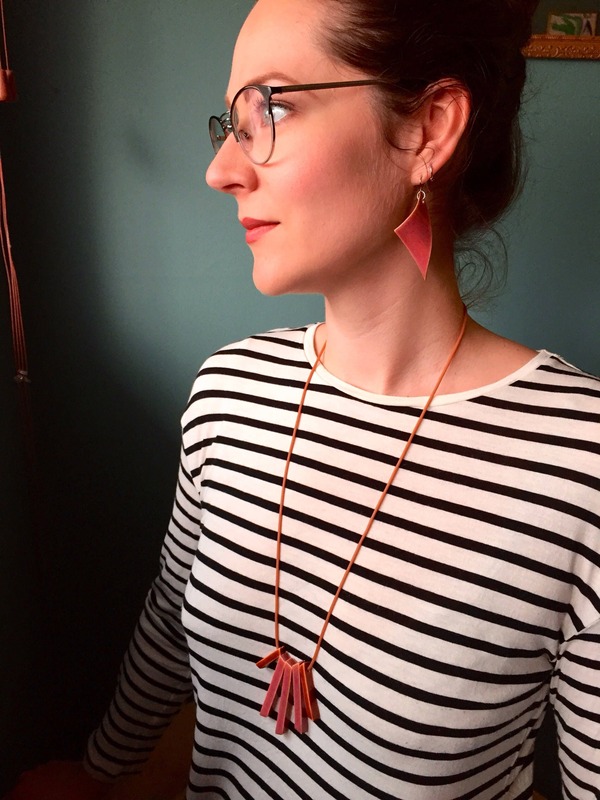 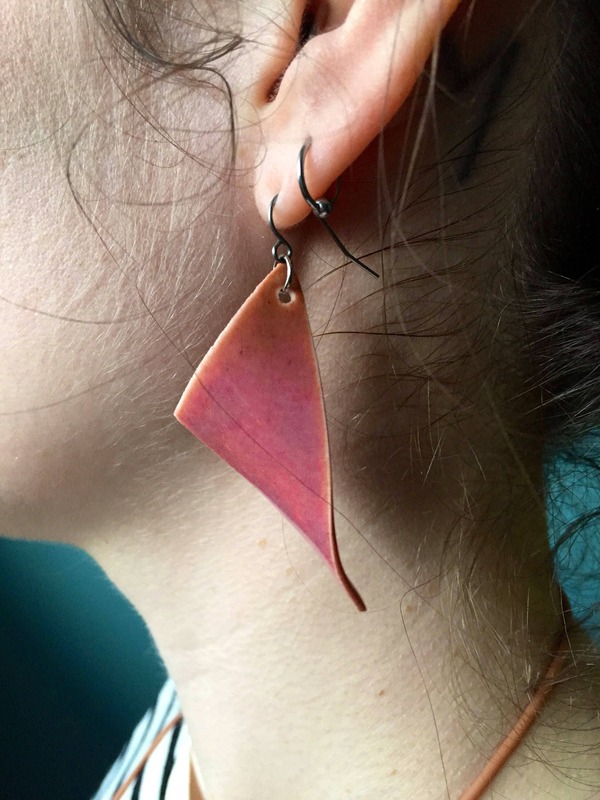 This is a set of two handmade, glazed porcelain earrings in magenta. 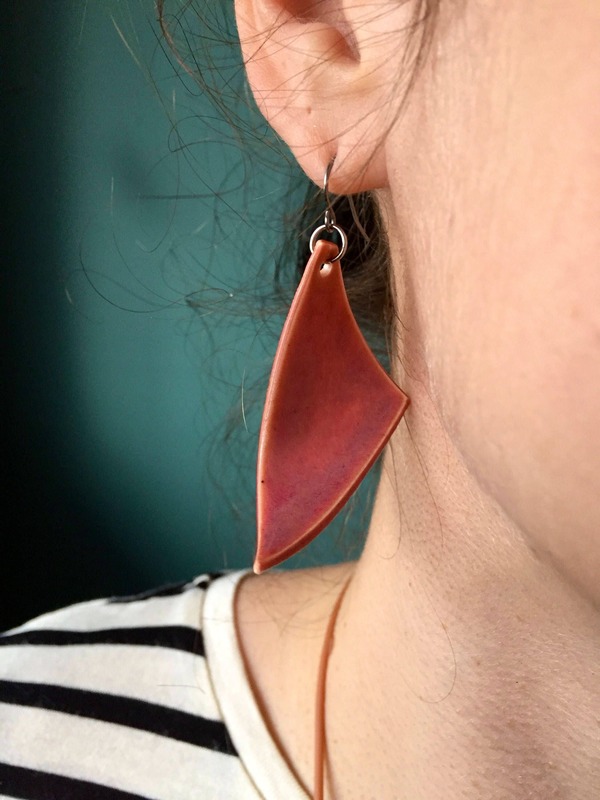 Each earring is hand cut and formed, fired, and assembled into the design you see above - no molds or patterns are used, each is one of a kind. 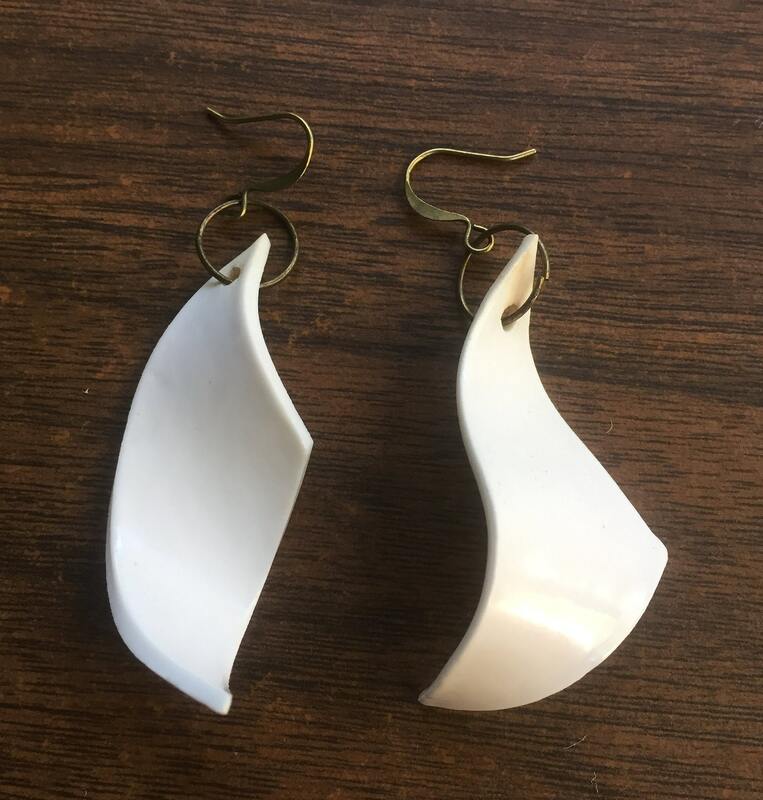 Each earring is formed out of porcelain, glazed in a satin white glaze, and fired in an electric kiln to about 2170 degrees Fahrenheit. 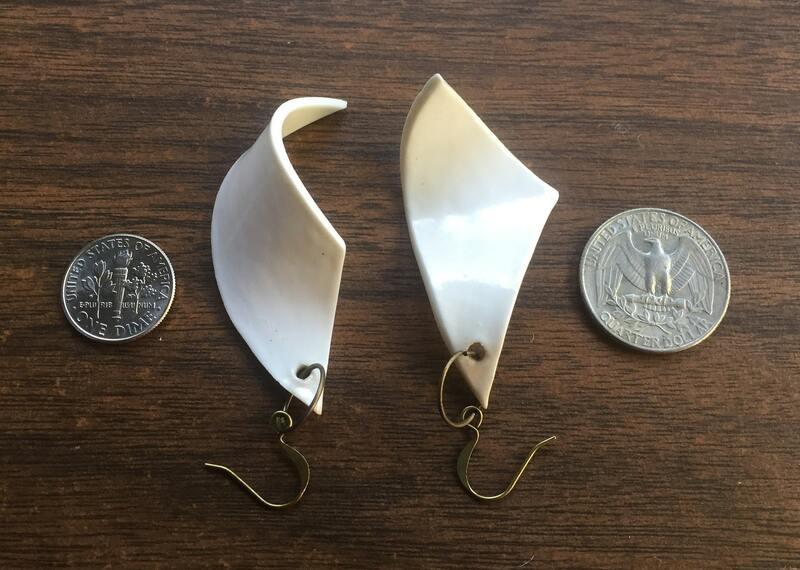 The ceramic part of each earring measures about 2 by 1 by 3/4 inch. 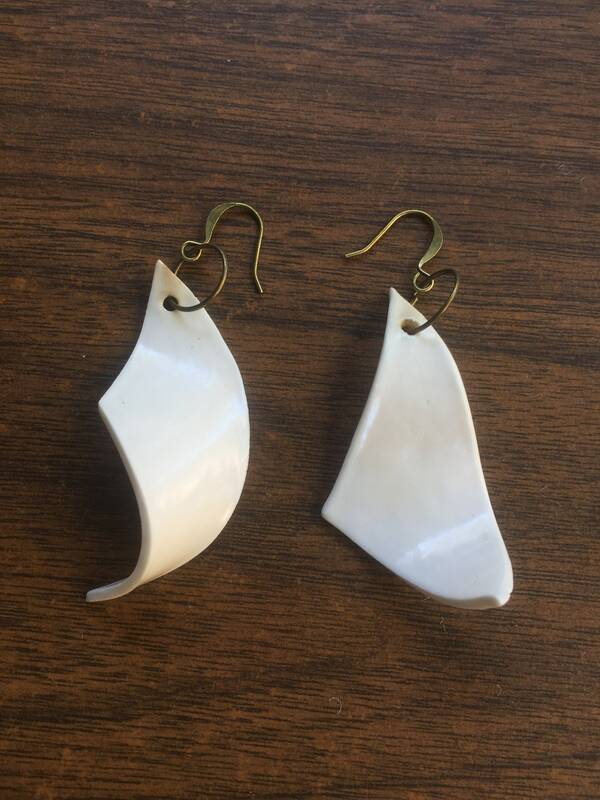 The findings are antique gold plated brass. 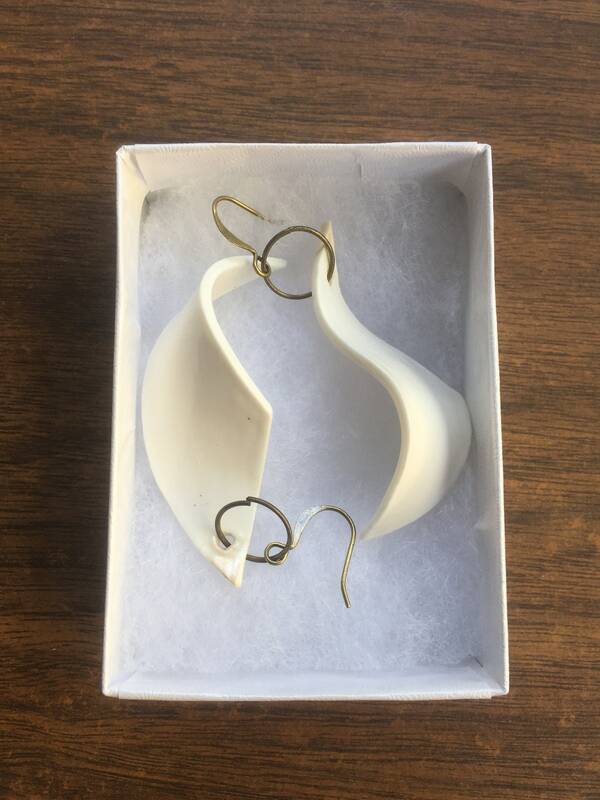 Model photos show a similar but not identical pair.